Shona Ghosh is constantly irritated during her commute by Casper's posters. The illustrations are cute but, if I’m going to spend a third of my life asleep, I’ll need more than rhymes that don’t scan to help me choose a mattress. 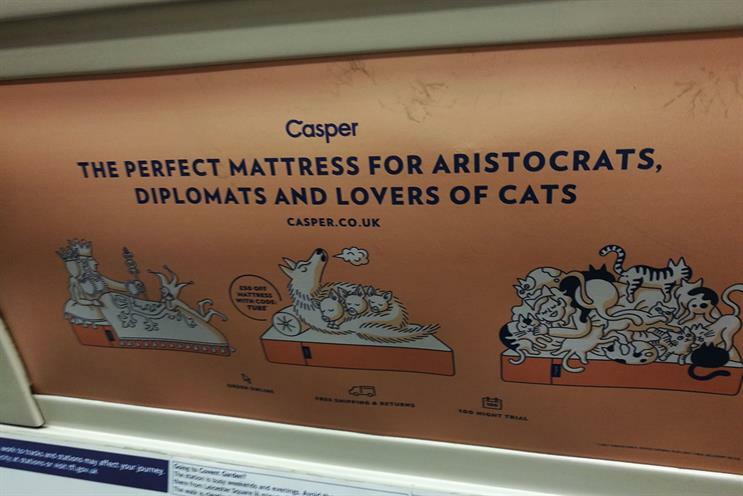 Given mattress start-ups seem to be ten-a-penny at the moment, it’s also strange Casper hasn’t tried to differentiate its product in any way.